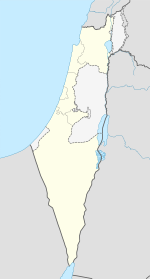 Herzliya (Ebreu: הֶרְצְלִיָּה‬) is a ceety in the central coast o Israel, at the wastren pairt o the Tel Aviv Destrict. In 2015 it haed a population o 91,926. Named efter Theodor Herzl, the foonder o modren Zionism, Herzliya covers an aurie o 26 km². At its wastren municipal boondaries is Herzliya Pituah, ane o Israel's maist affluent destricts, hame tae ambassadors, foreign diplomats an businessmen. Herzliya, named efter Theodor Herzl, wis foondit in 1924 as a semi-cooperative farmin community (moshava) wi a mixed population o new immigrants an veteran residents. Efter the establishment o the state in 1948, lairge numbers o immigrants settled there. In 1960, when the population reached 25,000, Herzliya wis declared a ceety. Accordin tae the Israel Central Bureau o Statistics, residents o Herzliya are amang the wealthiest in Israel. In 2003–2005, average monthly salaries wur NIS 8,211, or aboot NIS 1,500 abuin average in a survey o Israel's 15 lairgest ceeties. Housomeivver, there is a lairge gap atween the ceety's seiven wirkin class neighborhuids, amang them Yad Tisha, Neve Yisrael an Neve Amal, an upscale Herzliya Pituah. The population is aulder than that o ither ceeties in the Sharon region: 18% are unner 14 years auld, compared tae a naitional average o 27.5%. In a quality o life survey in 2008, Herzliya ranked seicont heichest amang Israel's 15 lairgest ceeties. Investment in education wis heicher than aw ither ceeties in the survey an mair hie school students wur eligible for a bagrut matriculation certificate. The Herzliya Interdisciplinary Center is a private college that affers unnergraduate an graduate degrees in govrenment, business administration, law, computer science an ither academic disciplines. Israel's lairgest televeesion an film studio, Herzliya Studios (Ulpanei Herzliya), is locatit in Herzliya. The Herzliya Marina wis built in the 1970s. The ceety haes a sma airport (code: HRZ), three shopping malls (Arena Mall, Seven Stars Mall an the Outlet), movie theaters, museums, cultural centers an a stadium. In 2008, the Herzliya Cinematheque opened in the dountoun aurie o the ceety. In a 2008 survey o 15 Israeli ceeties, Herzliya ranked seicont in fiscal management. The Herzliya municipality endit 2006 wi a sizeable budget surplus. The ceety haes twa football clubs, Maccabi Herzliya an Hapoel Herzliya, baith o which are based at the 7,100-capacity Herzliya Municipal Stadium. Baith teams currently play in Liga Leumit. The Bnei HaSharon basketbaw club plays its games in Herzliya an Ra'anana (the club wis formed bi a merger o the Herzliya an Ra'anana teams). Herzliya is an aa ane o the centres o rugby union in Israel. ↑ "Herzliya". Israel Wonders. GoIsrael.com. Retrieved 2008-10-18. ↑ "Herzliya gets its very own cinematheque". Jerusalem Post. 2008-11-20. Retrieved 2008-11-30. ↑ "Beverly Hills street to honor Herzl". Retrieved 2010-05-03. Wikimedia Commons haes media relatit tae Herzliya. This page wis last eeditit on 21 Apryle 2017, at 18:25.